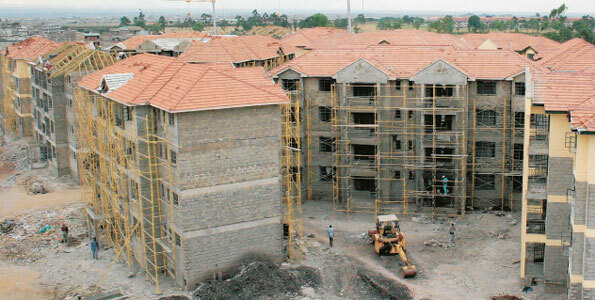 Kenyan urban centres are facing acute housing deficit forcing residents to seek accommodation in informal settlement,Housing and Urban Development Principal Secretary Aidah Munano has said. Speaking during a workshop on the 2017-2021 strategic housing plan, Munano said that while developers were constructing an average of 20,000 housing units yearly, far way below the demand of 250,000. The PS hinted that plans are underway to construct at least a million housing units over the next five years to reduce the deficit. Kenya is currently experiencing a deficit of 1.85 million housing units mainly in urban centers meaning that a large number of residents live in informal settlements. A new world Bank report released recently, reveals that to curb growing slums in Kenyan urban centres, two million affordable city houses need to be constructed. The report cautioned that unless elaborate plans are made towards affordable housing, growing slums in Kenya will only get worse in the next decade. World Bank notes that Kenya’s cities are growing by 500,000 people a year. Nairobi is one of Africa’s most expensive cities for housing, with 2013 prices almost triple those of 2000. The report identifies financing as the main impediment to housing in Kenya. There are fewer than 25,000 mortgages in Kenya as banks have limited access to long-term funding. Yet the housing challenge in Africa presents an opportunity for city leaders to use housing supply as a way to stimulate urban economies and radically reshape the future of African cities. The 2017-2021 strategic housing plan seeks to deal with issues related with affordable housing, financing and building technology among others were discussed.